Fun to see friendly faces at yesterday’s Sustainabilty Fair in Garden Home. Also enjoyed getting updates from STUFF-ication fans. 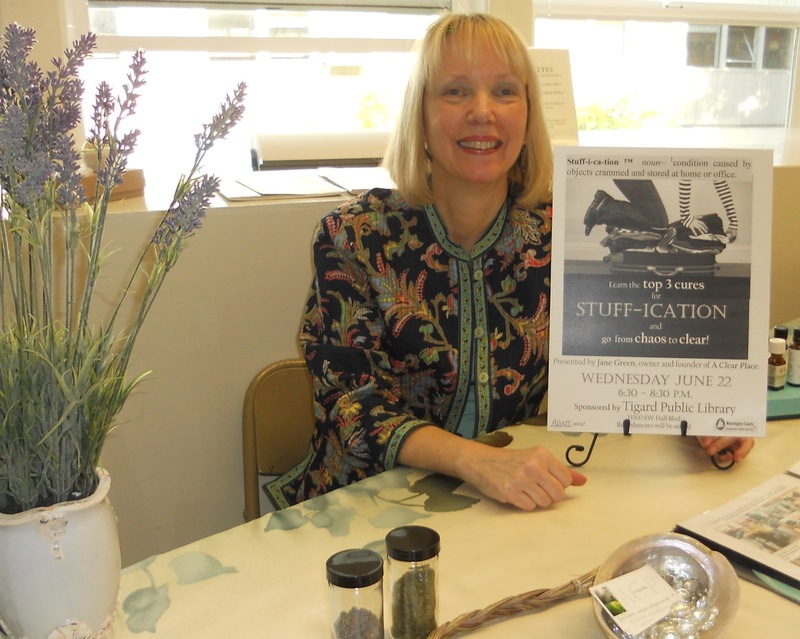 Thanks, Garden Home Library, for sponsoring this annual event and increasing awareness for sustainable options. Here are just two of the vendors on hand who are definitely worth visiting. Both have retails stores on the eastside of PDX. First up is The One Stop Sustainability Shop on NE Alberta. Barbara offers a super variety of products for the house, pets and kids including locally made items. One Stop also provides workshops on earth friendly topics and has a dedicated spirit that makes going green all the more enjoyable. Ecohaus specializes in green products for building and remodeling. Their showroom on SE Taylor provides great ideas for flooring including cork and bamboo, eco-friendly carpet choices and beautiful tile options. I love the seaglass and ocean colors they were showing yesterday. The showroom is open 7 days a week for your convenience. Let me know what you think!